I joined WildCRU in 2005, as part of a collaboration with the University of Liverpool, and gained my PhD in Biological Sciences in 2010. 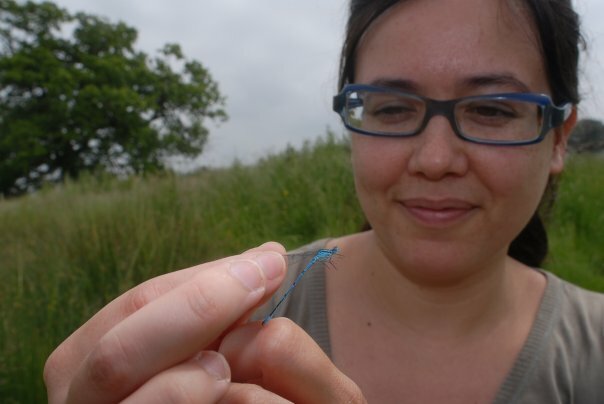 My thesis focused on the ecology and conservation of UK Dragonflies (Odonata) in lowland farmland ponds, and included an assessment of best odonate survey methods and suggestions to improve current survey methodology; an investigation of parameters supporting best species richness and abundance, both at a local (pond) and spatial (landscape) scales; the use of ArcGIS and modelling of data to investigate landscape-scale parameters affecting odonate management; and assessing the role of agri-environment schemes to encourage odonate conservation. Before joining WildCRU I gained a BSc in Biology and Environmental Geography (2004) from University of Middlesex. My thesis was based on a mark and recapture study on the daily patterns and movements of damselflies in a lake in Czech Republic. In 2005 I obtained an MSc in Ecology, Evolution and Conservation from Imperial College, and focused my research on investigating cooperative nesting among solitary wasps of the genus Cerceris to discern clues to the evolution of sociality by studying nest densities and larval survival in relation to pressures from parasites. I have recently finished assisting David Macdonald and Ruth Feber on the editing of the two academic volume book set Wildlife Conservation on Farmland. These synthesize the results of WildCRU’s agro-ecology studies over the last 25 years, and I am a co-author on five of the chapters. I am currently undertaking a research project, in collaboration with World Animal Protection (WAP), with the aim of providing a general overview and categorisation of the issues threatening the welfare of UK wild vertebrates, aided by the use of a wide range of global media sources. This wide-ranging review might highlight areas in need of prioritisation for future focus of animal welfare. View my publications on my personal publication list.